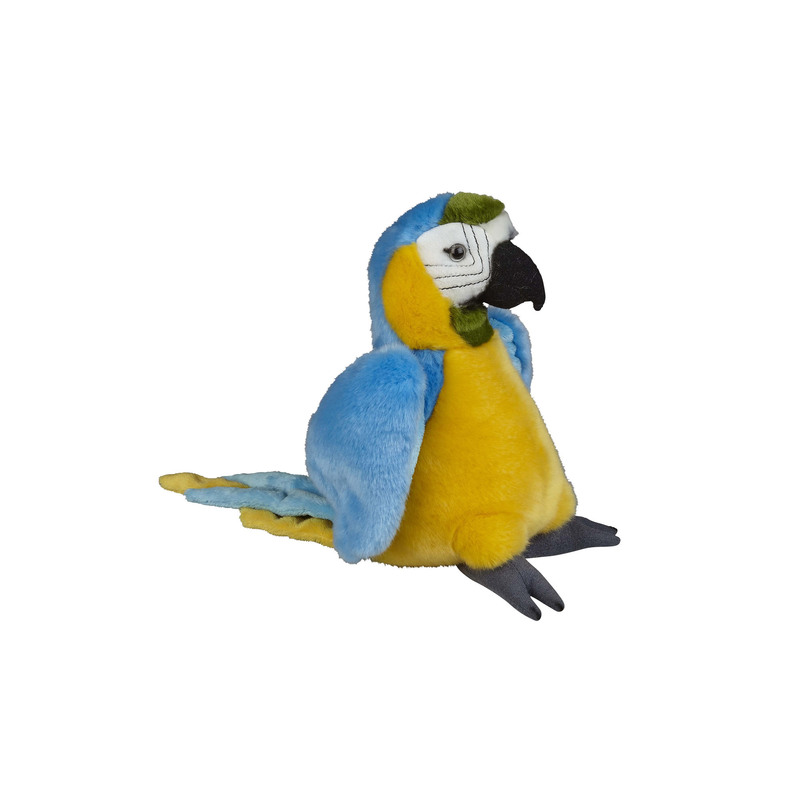 Macaws are the largest parrots amongst the parrot species, add this wonderful macaw soft toy to your collection. Made from super soft plush this macaw soft toy includes some beautiful detailing such as yellow, blue and green fluffy plush, embroidered detailing, black beak and claws to make it look lifelike and realistic. Sitting at 28cm tall, this soft toy would make a perfect new friend.